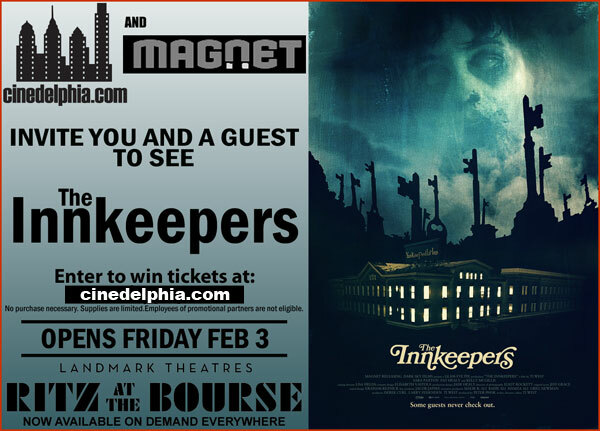 We have 20 pairs of tickets to attend an advance screening of Delaware native Ti West’s new film The Innkeepers. The screening will be held on Wednesday, February 1 at 7:30 PM at the Rave University City 6. To enter, e-mail me your mailing address and 20 winners will be chosen at random. Deadline is this Friday (1/27) at noon, winners will be notified via e-mail and will be sent their passes via USPS. Good luck!